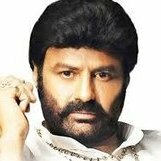 ala morigina Lakshmi Parvathi, Daggubati emayyaro ade avvuddi..
@NtrforeverMeeru ela andari matladaro..Nenu andarito matlada...TDP Pakka annavare andaru....Please stay confident. YCP gelistundi ani cheppakappte counting agents dorakaru ani ala cheptunnaru ante dont worry guys there is a wave. Roja is going to win due to Tamil votes with the help of her husband Selvamani. simple reason, YSR gave 5% Reservation to minorities. 4...Gajuwaka, Rajole, Mummidivaram and Rjy rural ani chepparu naku. Kaikalur lo YCP candidate ki good Peru and positive talk vundi...On top of that ex. MLA Kamineni meeda baga anti vundi and people still see him as a TDP candidate as he was ex TDP. Inclined towards TDP ani 6 months munde nunde cheptunnaru and still it is. that is the idea bro, SP/BSP already declared that they are not going to field candidates in 7/8 seats like amethi, Rai bareli etc.. and they are intentionally left for Congress. Also Congress in going to field dummy candidates in the other 70+ seats for the split. two reasons 1) Congress is the only party in UP which can split upper castes votes otherwise they will vote for BJP by keeping Congress away SP/BSP want that split to give double punch. Please note Congress still enjoys 15-17% vote share in UP. 2) So far no merge with Congress in UP worked out, Congress vote bank is not shifting to the ally even if they contest together. EC,FBI, ED etc.. no manage chesina vallu...Courts ni cheyarani guarantee enti? Karanam gelichi Kodela vodipote Speaker ni chesaremo. @chsrk bro, Evaru gelustaru GDV lo ground level lo vunnaru kada meeru. విశాఖ లోక్‌సభ తెదేపా అభ్యర్థిగా శ్రీభరత్‌? In Vishaka Kammas will be less than 1K. Atleast 90% of them are TDP inclined, so no worries. pedana, Avanigadda, Machilipatnam --> JS Effect max vuntundi...Youth chala inclined ga vunnaru JS ki...Kani 70% gelavachu Jaggayapeta -> Tatayya last time wave lone 1500 votes to gelichadu, Nettam ee sari support cheyyadu.... Nuzvid, Pamarru and Gudivada.....No more discussion... Rest TDP..
Ganta garu ee term kooda change aa...Mahanubavudu...Bheemili annadu, Vijayanagaram lo ekkado annadu ippudu VSP MP.